Arbequino variety offers us an herbal flavour. 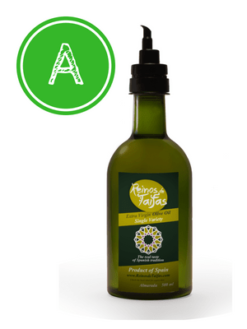 This EVOO seems lighter at first but it hides an intense flavour and aroma characteristic that immediately connects you with nature. 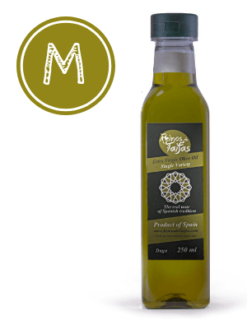 It is very important to grind Arbequino olives when they are green, thus the harvesting is done at the end of October –end of November. 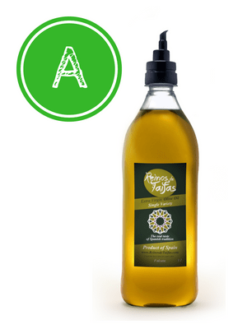 This EVOO has a strong fruity aroma and leaves a smooth flavour in mouth. 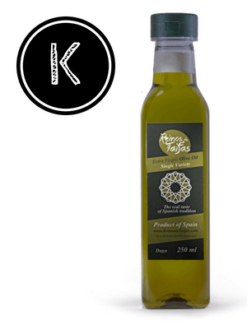 Arbequino Daga is suitable for individuals that live on their own or small families and use EVOO occasionally in their cooking. Also for bigger families that use EVOO and other fats in their kitchen. You can use Arbequino Daga to enhance stews and roasts as well as fry a good cut of meat or your favourite fish fillet.